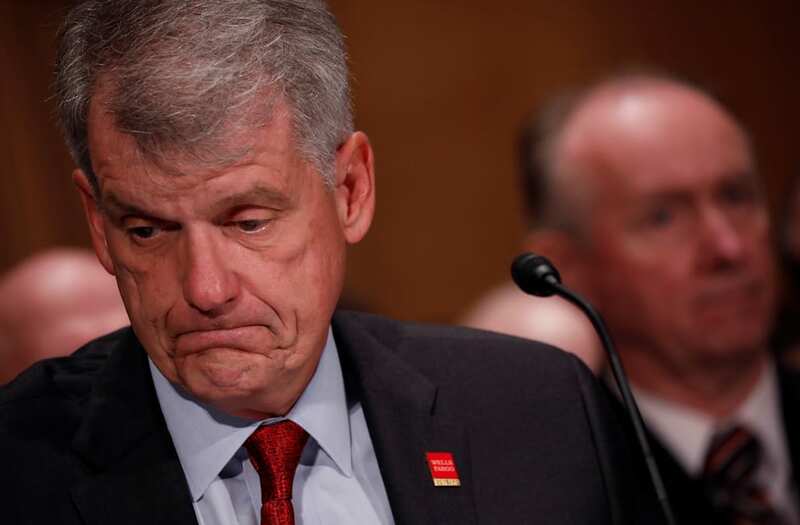 WASHINGTON/BOSTON, April 23 (Reuters) - Wells Fargo & Co's disclosure of how its chief executive's pay compares to the rest of its workforce has drawn criticism from some company employees ahead of the scandal-plagued bank's annual shareholder meeting. "We will continue to invite team member participation and encourage dialog," said spokeswoman Diana Rodriguez. Wells Fargo's CEO pay ratio was higher than Bank of America Corp's but lower than JPMorgan Chase & Co, according to data U.S. public companies must report starting this year. Those lenders have different business mixes and Wells Fargo skews more than some towards lower-paid retail workers. On Friday, the bank said it agreed to pay U.S. regulators $1 billion to settle probes into customer abuses in auto lending and mortgages. A review of bank pay by executive compensation data firm Equilar shows Sloan earned roughly 20 percent less than Bank of America and Goldman Sachs Group paid their leaders for 2017. Among top Wells Fargo shareholders, representatives for Berkshire Hathaway Inc did not respond to questions on how it planned to vote its roughly 9-percent stake in the bank. A representative for the second-largest investor, Vanguard Group Inc, with a roughly 7-percent stake, declined to comment on its votes at the bank.